In 1964 as college graduation and the next step in my life approached, I made a weekend retreat to pray about what next. I wanted to enter but I knew in my gut that it was too soon. I was interested from an easy age in “missionary life” in another country. At that time there was a Sacred Heart Society lay missionary program. As I read the journal MITTE ME, I felt the answer was to apply to be sent struck to a country where our sisters has missionary work. This inspiration was confirmed by Sister Cavanagh who was in charge of my senior class. I applied, leaving the space for the preferred place blank and Mother Benziger replied that I was being sent to Japan. 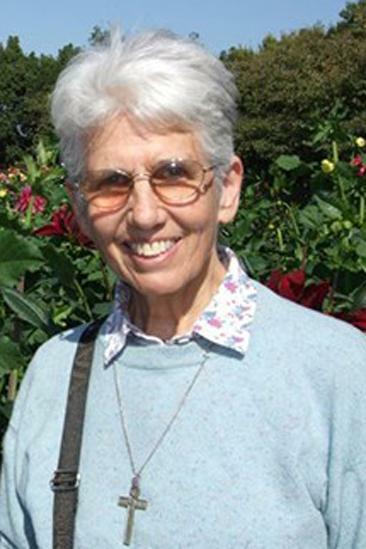 Sister Brigid Keogh was requesting teachers for the three International Schools in the Far East Province. As I had majored in Spanish, it was a shock but after a month of preparation at Barat College off I went.